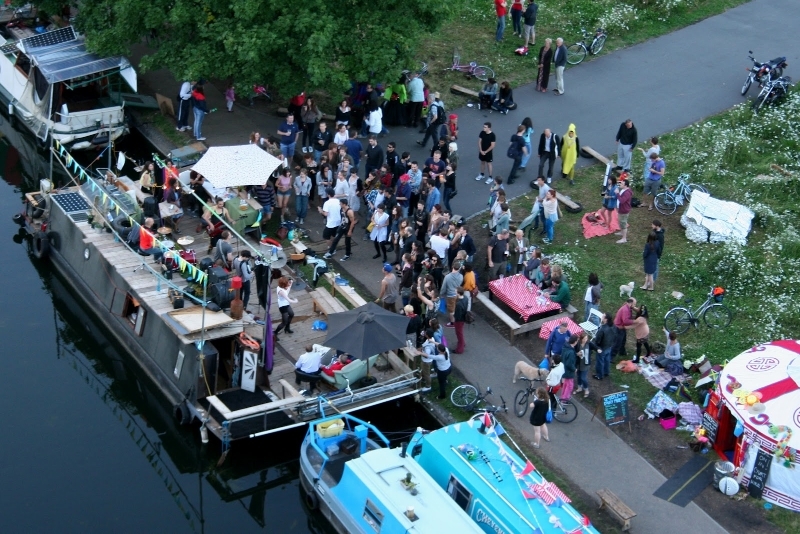 Project summary: A temporary floating market during the Olympics, on the Regent’s Canal with 20+ trading boats. 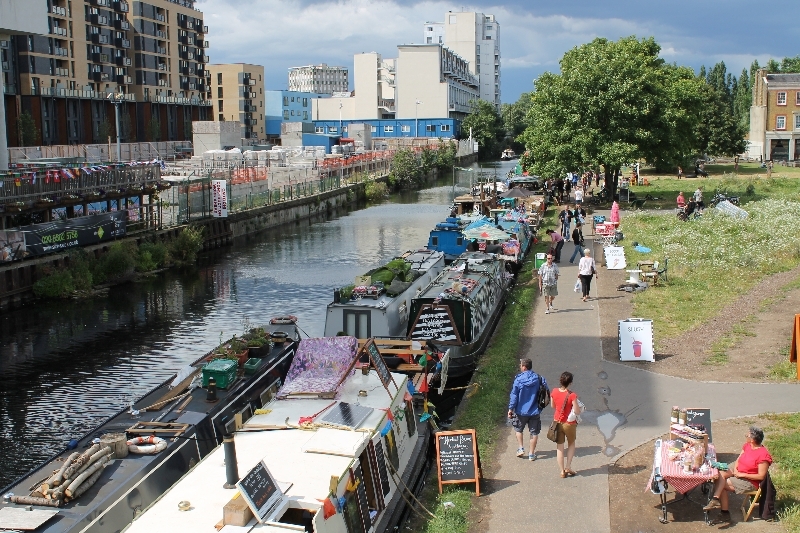 Location: Mile End, London, UK Programme: Assorted trading boats selling food, clothes and other things. 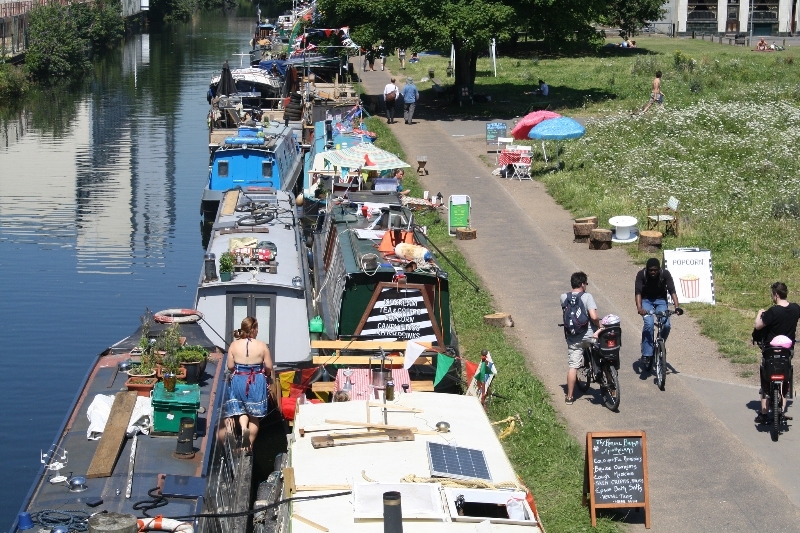 Initiator: Canal & River Trust (Formerly British Waterways) Project Duration: 4 weeks (20th July - 16 August) Lead in Time: 6 months Site Area: 600m stretch of canal towpath. 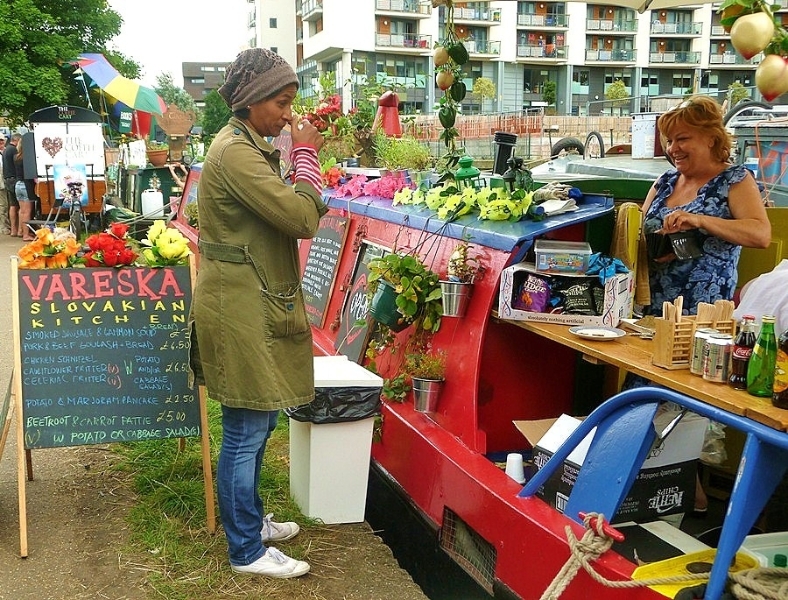 Client Team: Canal & River Trust Project Team: Canal & River Trust London Region, Administrative support by IWA volunteers Funding Sources: Internal Budgets Project Costs (Build): None Project Costs (Operation): Unknown Staffing: Volunteers Profitability/Loss: Profit Permissions / Permits: None Local Links: The market stalls were all existing trading boats, some were and remain based in the London area whilst others travelled especially from further afield. Publicity/advertising: Website, online, press, managed by CRT press team.